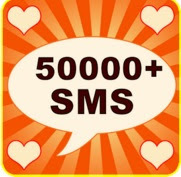 SMS Messages collection Apk is completely offline and free SMS book containing about 50000+ SMS messages collection. User can easily search and categorize the SMS in the shape of book. And share custom messages to contacts via SMS, varies sharing or messaging application. 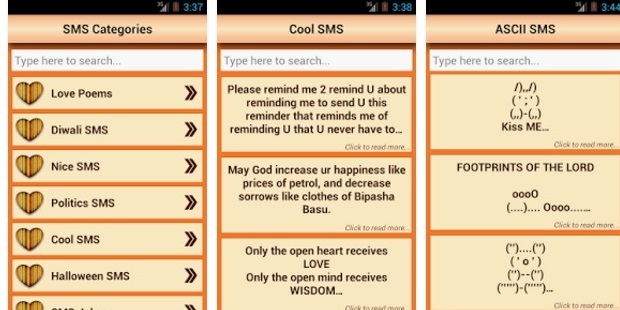 You can impress your husband or boyfriend with funny and witty sms from this free library of latest messages. Express the sad feelings of a broken heart via bewafai shayari or dard bhari hindi shayari, and contains latest SMS collection on festivals like diwali, raksha bandhan, eid (islamic) etc. click on below download button and install in your android device.